This colorful salsa spices up any winter meal. 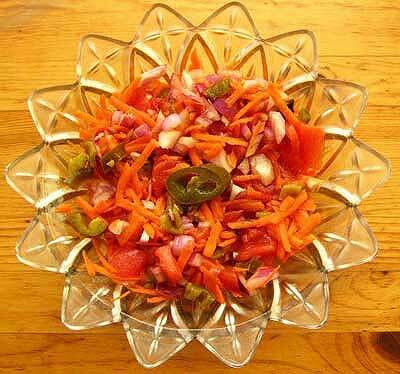 Serve it with bean dishes, egg dishes, or tortilla chips. This recipe doubles easily if you want to use it as a main dish. 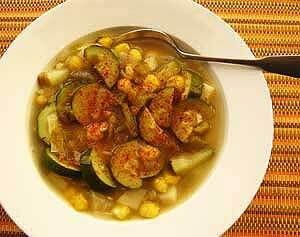 It is a vegetarian version of posole, a dish made by the Pueblo Indians and Hispanics for feast days and special celebrations. Most canned hominy is pretty high in sodium so I usually wait until after cooking to add sea salt to taste.